On the Western walls of the Great Rift Valley raises the mountain chain of the Cherangani Hills with its pleasingly ranging slopes that merge into the fertile Uasin Gishu plains of the Western Highlands. 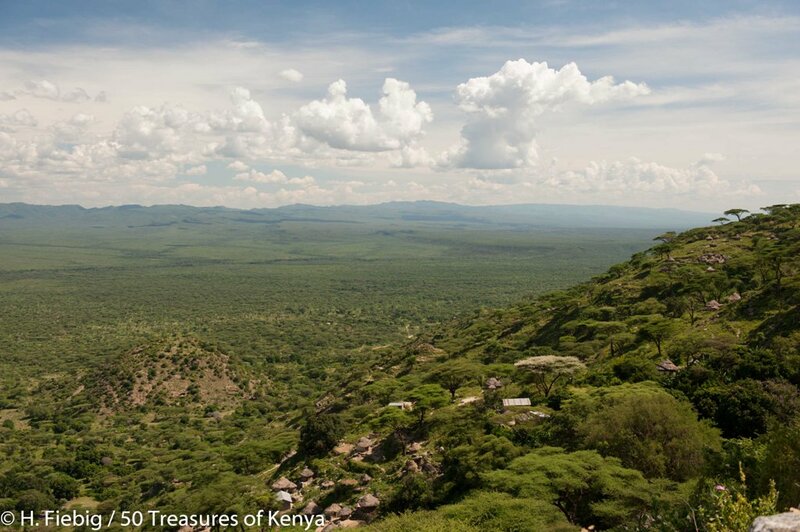 The Cherangani Hills and Uasin Gishu plains form a Treasure of remarkable diversity and pretty landscapes, plenty of forests, gentle slopes and impressive views offer breathtaking terrestrial divergence with myriads of dirt roads and exhilarating peaks. Making it a perfect hiking heaven which is virtually unknown that has great tourism potential. Apart from its abounding scenery and ambiance,some of its significant features are towns such as Eldoret which is Kenya’s fifth biggest city and the county’s undisputed regional centre as well as the famous town of Iten,’the Home of Champions’, from where most of Kenya’s famous long distance runners have stemmed. Come to think of it,if you were to think up a riddle alluding to the Cherangani Hills landscapes and you had to use a famous pop song; then the song The long and winding road by the Beatles would possibly be the most suitable suggestion! 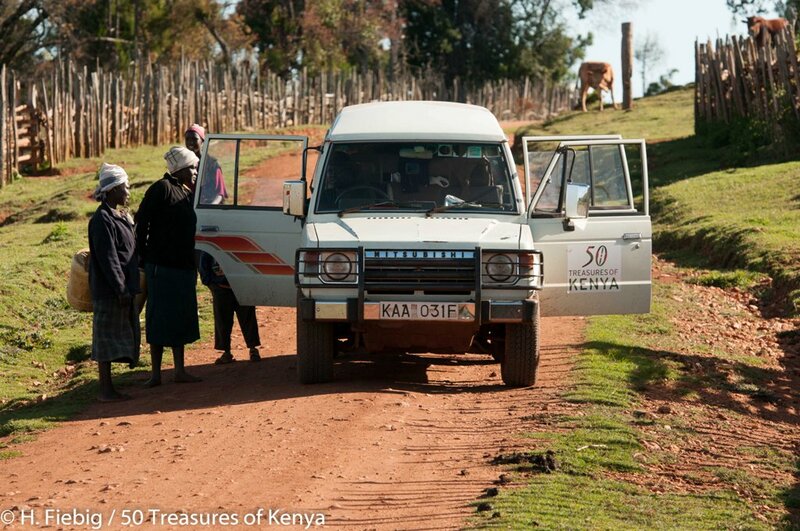 Once you have managed the steep climb from the Uasin Gishu plains to the hills, the drive over orange gravel roads is one endless chain of ‘S’s which curl through pleasant farmland, picturesque traditional houses and meadows with plenty of cows and sheep in between dark green forested ridges.Giving you a sensation akin to Switzerland’s but in equatorial Africa. Thanks to the abundance of wood, the typical fencing put up by the farmers makes the surroundings a conspicuous feature you won’t come across anywhere else in Kenya. 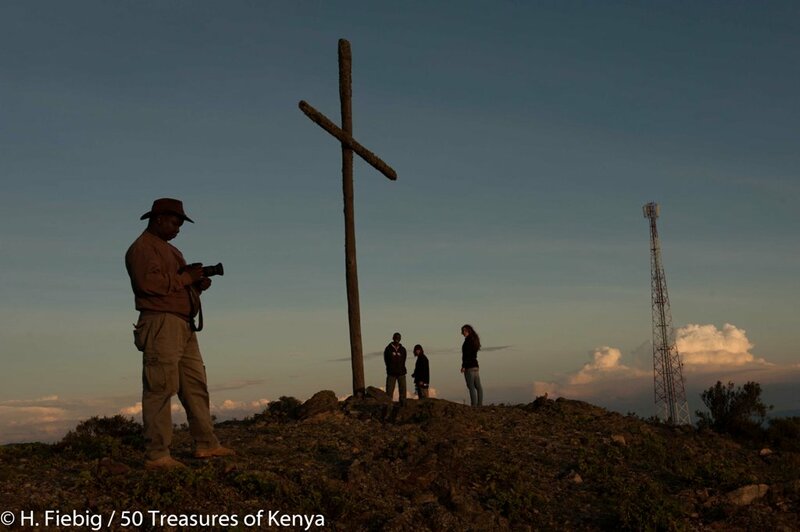 The highest elevation of the Cheranganis is the Kameleogon measuring 3580 meters high, making it the 4th highest mountain in Kenya after Mt. Kenya, Mt. Elgon and the Aberdare Range. But besides Kameleogon, there are plenty of other peaks for those willing to meet the challenge;such as Chebon,the second highest crest standing at 3375 metres, Chepkotet in the north-central section at 3370 metres, Alaleigelat at 3350 m and lastly Sodang at 3211 m.
Unlike most of the mountains in Kenya, the Cherangani Hills are made up by an old fault block formation of non-volcanic origin, forming an undulating upland plateau on the western edge of the Rift Valley overlooking the Lake Turkana Basin. The hills are centred upon a forested escarpment and surrounded on three sides by sheer cliff faces, beautiful rainforests, spectacular views into the rift valley crisscrossed by walking paths with ease of direction and undemanding slopes making this excellent country for relaxed hiking. 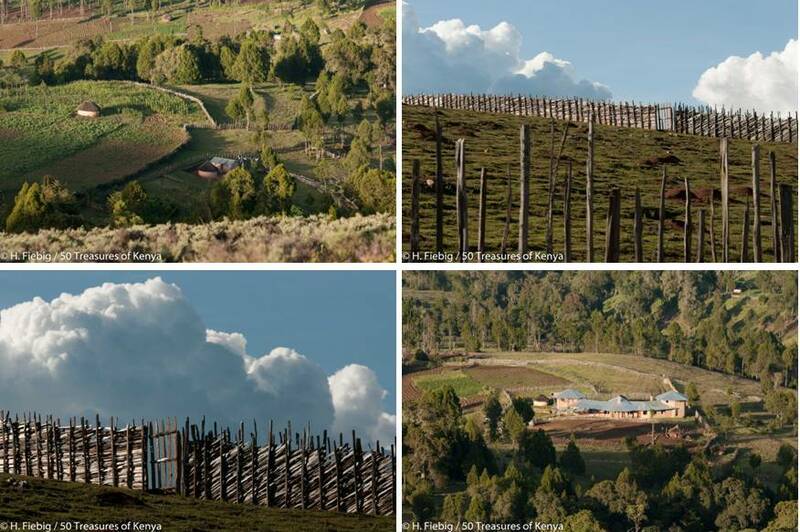 Koisongor,which stands on the Southwestern rim of the Hills and the first real peak on the way from Iten or Eldoret, is still worth a visit even though is not a member in the club of the highest elevations in Kenya. As for the less ambitious, a dirt road leading up to a booster tower offers the chance to enjoy a view without breaking any sweat that is also worth the effort in any case. From here you can look over the patchwork of Uasin Gishu’s farms to the southwest and beyond the fields of Trans Nzoia in the west towards Mt. Elgon. There are good chances that you will witness how Kenya’s second highest mountain brews enormous cloud towers that unleash fierce thunderstorms from a good distance. So what makes traveling here so special? Well, choose any mountain! Hike any trail around and you will feel like an explorer on an real expedition. Since there are no conventional tourism activities in the region; proper infrastructure with marked hiking trails, huts or campsites are sadly unavailable. 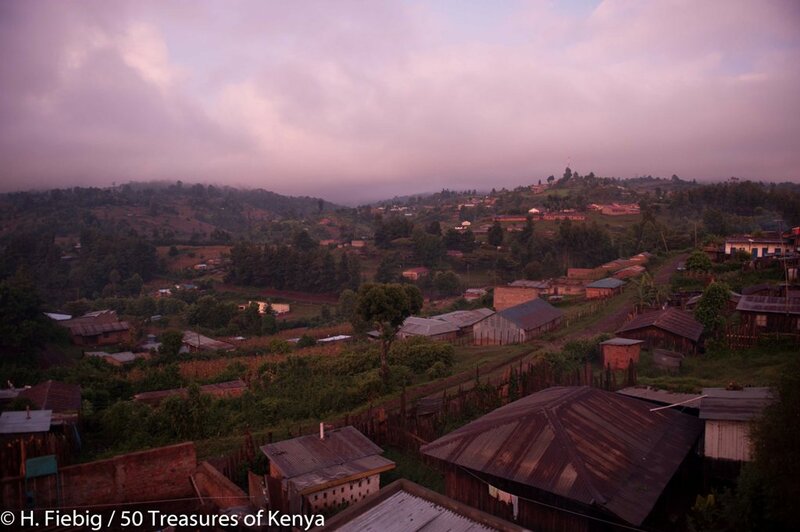 Even Kapsowar, the capital of Elgeyo-Marakwet county offers only rather simple accommodation. But don’t worry, it is always possible to negotiate for a bed in a private home or to camp in someone’s garden! 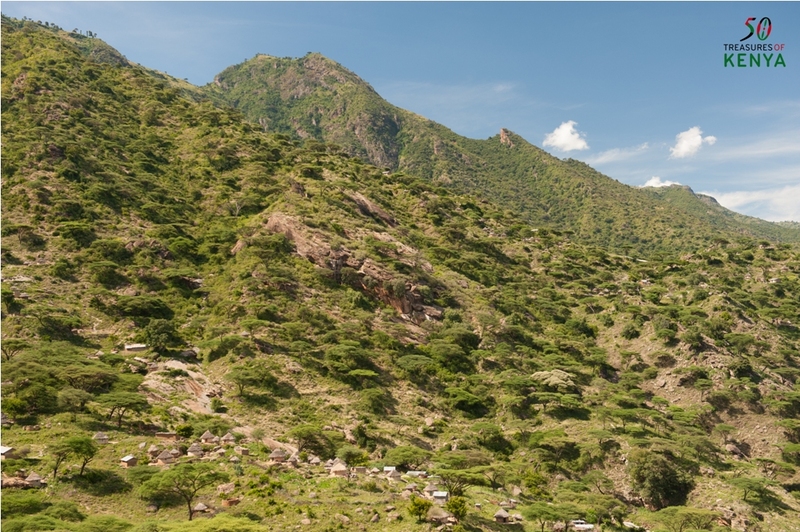 The first people to live in the hills were the hunter-gatherer community of the Sengwer people who are marginalized today as the majority of people belong to the Pokot, Marakwet and Kalenjin. These people live in small villages and single farm houses dotted all over the place. 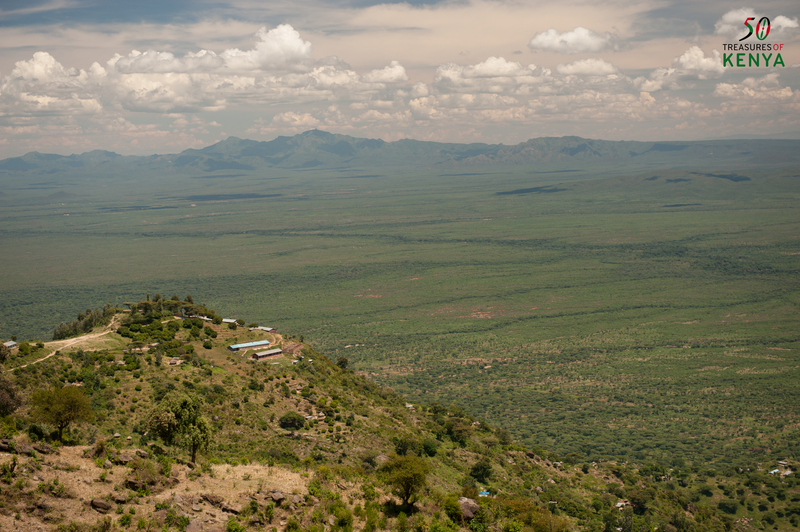 The eastern side forms part of the Elgeyo Escarpment which drops dramatically into Kerio Valley. Yes, the road leading down is consequently rough but that will not last for too long as the highway to South Sudan and two new tarmac roads up the hills from the valley floor are already under construction which will make the region much more accessible. 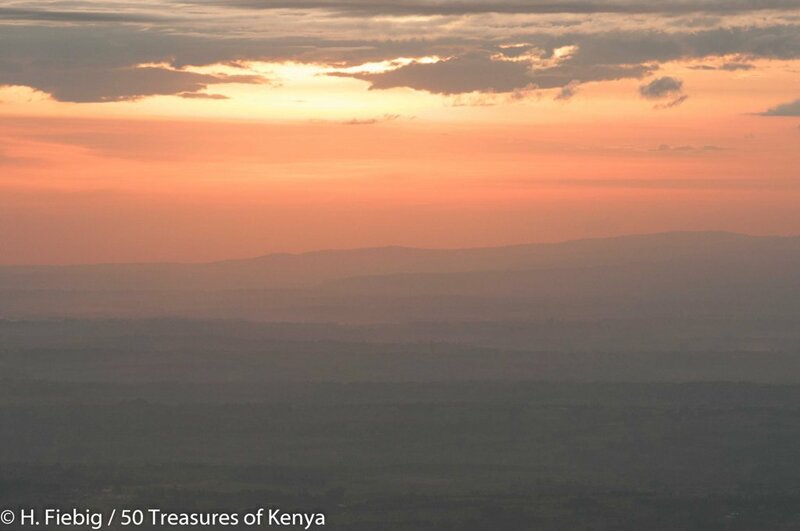 The Northern side of the Cherangani Hills is equally beautiful as the mountains drop into the valley of River Marun. Beyond them is the Seker Range and the barren plains of Turkana Land from where the Cheranganis look like a green castle in the skies. 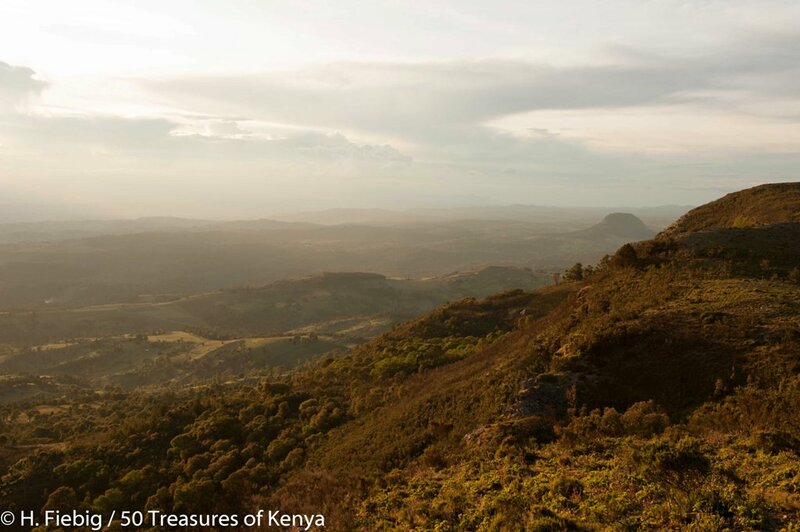 Inside the Cherangani Hills, you find a series of 13 indigenous forest reserves which cover almost 100,000 hectares making it on of the five biggest forest areas within Kenya. 60,000 hectares of this is closed canopy forest, the remainder being compositions of bamboo thickets, scrub, rock, grassland, moorland or heath, with about 4,000 hectares designated for cultivation and plantations. The three western blocks, Kapkanyar, Kapolet and Kiptaberr, are larger and more consolidated and constitute about 20% of the Cherangani Hills Forest. Most of the rest of the forests are fragmented, cut by grasslands, bushlands, and croplands. 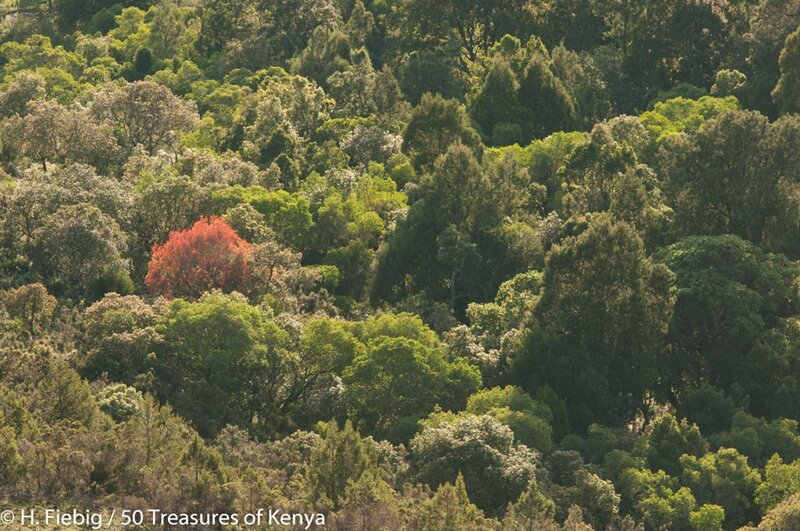 Not surprisingly, the dense vegetation forms the upper catchment area of some major Kenyan rivers, notably the Nzoia, the Turkwell and the Kerio. 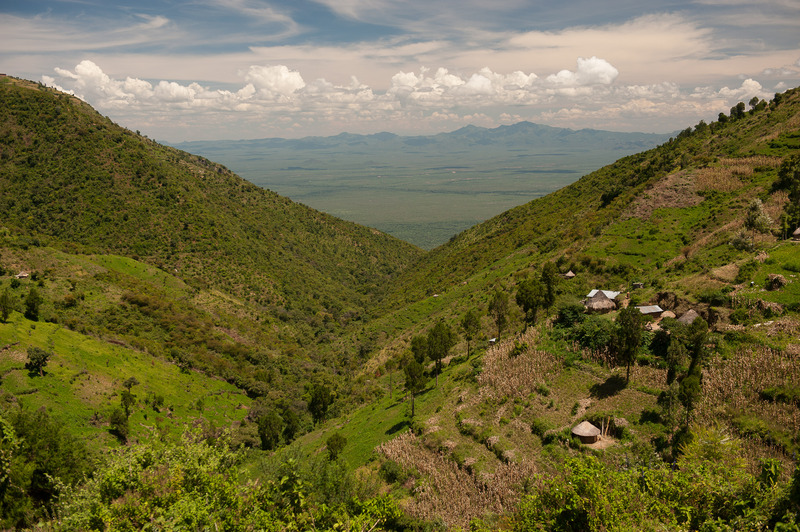 In fact, the Cherangani Hills mark an important watershed as streams to the West of the watershed feed the Nzoia River system, which ﬂows into Lake Victoria, whereas streams to the East ﬂow into the Kerio River system that eventually ends at Lake Turkana. Although the Cherangani Hills offer the best treks in Kenya for visiting hikers.The few number of visitors in the area does not mean that the Cheranganis are lacking in other noteworthy attractions. 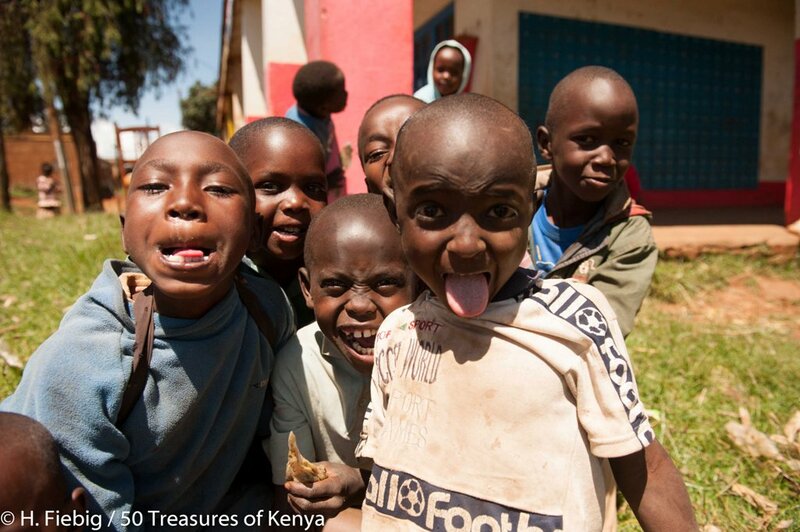 The Kenyan town of Iten might possibly have the highest percentage of famous sons and daughters in the whole of Kenya. 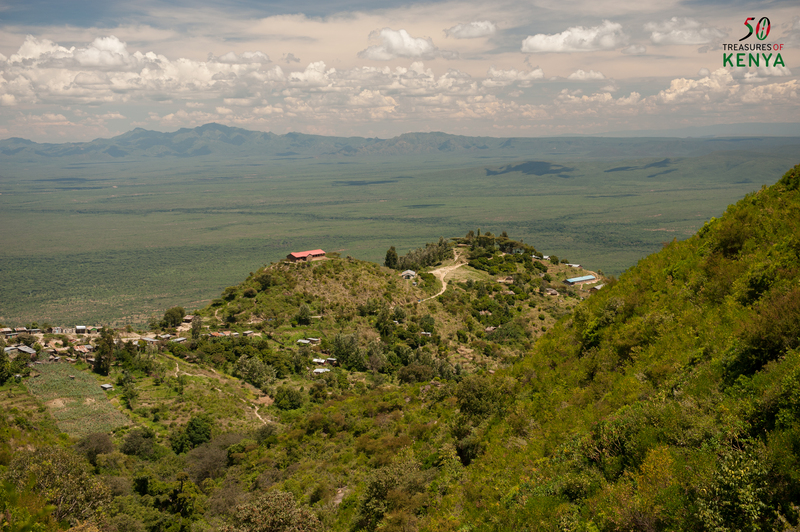 ‘The Home of Champions’ lies just South of the Cherangani Hills, right at the rim of the Elgeyo Escarpment. Most of the Kenyan runners hail from here or were at least trained here. Some of the top athletes who have prepared themselves here in the past include South Africa’s Ezekiel Sepeng, Olympic 3000m gold medalist Ezekiel Kemboi and top 1500m runner Daniel Komen jr. There is even a high altitude training centre in Iten for people who track the fame of Kenyan runners or who would like to run with Kenyans, it is surely a runner’s Mecca. Britain’s Paula Radcliffe and Mo Farah are some of the big names who have also set camp here. For everyone else, Iten is just a place with an amazing view down into Kerio Valley and Eldoret is the place to be for those who prefer the city life. The blossoming town is the cultural, political and business capital of the region boasting an international airport, universities and colleges, good restaurants, a vivid nightlife and comfortable hotels. Although the town doesn’t have many tourist attractions as such, it still has some interesting temples, fine examples of colonial historic architecture and a very vivid market area which makes it worth a visit. The county capital Kapsowar is a good base to start from to explore the hills. 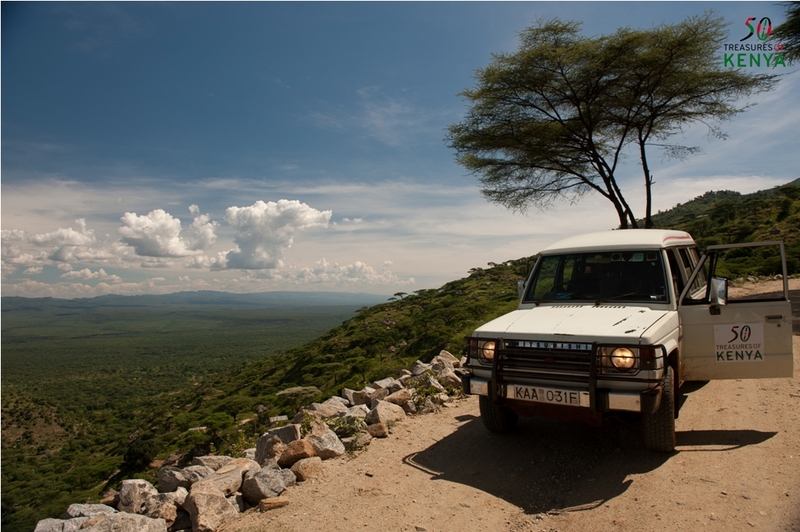 It is surrounded by hills and ranges, that can be explored by foot, bicycle, bodaboda and even car. The town can be reached by Matatu from Eldoret which is roughly 60 km away for a fare of about Kshs.300 or from Iten which is a closer distance of 30 km for Kshs.250. This is a one way 15 km drive on a very scenic and good tarmac road, where you are more likely to meet goats or sheep than other cars. This makes it a pleasant excursion by boda boda for a minimal fee of Kshs.100 Kshs. When you get to Chesewe, walk the path down to Chesewe Secondary School and then turn left and follow the small footpath to the viewpoint. Which is an excellent location for a sun-downer where you can enjoy a 180 degree view of the Kerio valley and the Laikipia-Plateau with the Tugen Hills in the background. We reckon that it will take you a total of 4hrs to walk from Kapsowar, climb up Kipkunur Hill,which is about 3063m high, and get back. The view from the top of the mountain is worth the climb. On the way you will appreciate the tropical mountain forest with many high-value timber trees and bamboo forest as you near the upper parts of the hill.Kipkunurr can also be approached from Cheptongei. The hills are also an important bird area (IBA) due to the diversity of bird species found in the region making it a birding mecca, and whether you are a serious ornithologist or a hobby birder, you should not miss the Cheranganis. There are excellent bird guides available locally. It’s also very likely that you will also get to encounter troops of monkeys like the sloppy Colobus and the rare De Brazza’s monkey,thought to only exist west of the Rift Valley until it was discovered living in the Mathew’s Range. This is an impressive waterfall that can be appreciated, above and below, from several view points and platforms. The waterfall is surrounded by rocks and lush vegetation. It is an ideal place for a family picnic where you can enjoy and explore the rocks, forest and river. The place is known in the region as a romantic getaway for couples and there is a saying that you cannot marry your girlfriend before you have taken her to the waterfall. Although the land belongs to the County government it has been leased by a private person, Mr. Elijah K. Birech, who manages the place. This spot receives the most visitors during weekends, public holidays and in the holiday season during December-January. The place is quite inviting and offers a nice atmosphere for both picnic or even overnight stays. If you really want to have the spot to yourself then you’ll have to plan your visit during the rainy season, when there are very few visitors. 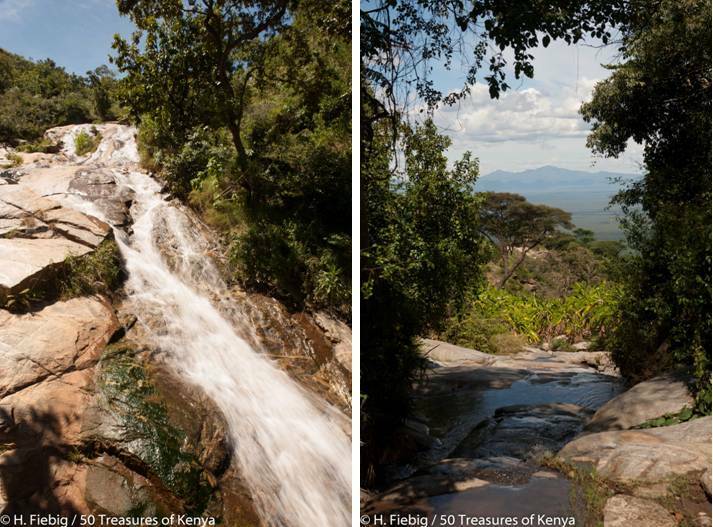 The waterfall can be reached from the road linking Eldoret and Kapsabet. It is 26 km from Eldoret and about 6km from Eldoret International Airport. Coming from Eldoret on the main road towards Kapsabet, branch to the right at the Mulango Shopping Centre and follow the murram road for about 2 km. The murram road was in a very bad condition at time of our last visit and only accessible by 4WD. It’s unfortunate that you cannot drive all the way up to the waterfall, so you’ll have to park it at the end of the road and walk the remaining 200m to the waterfall and campsite. 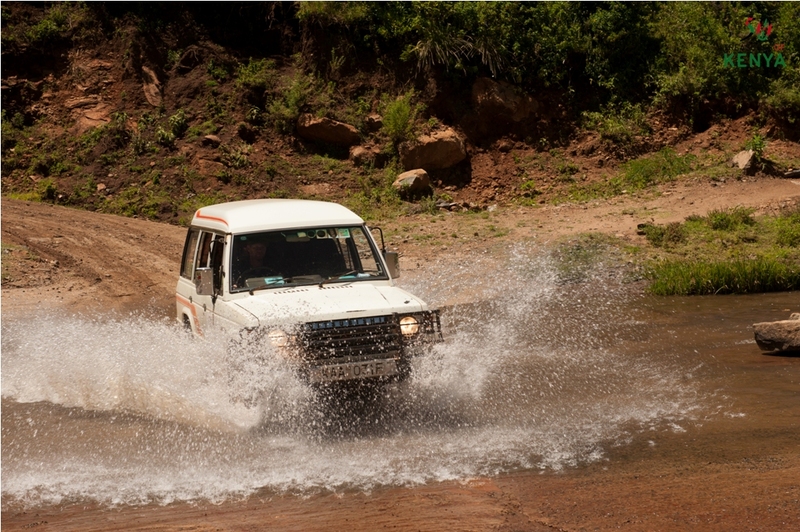 The Cherangani Hills can be accessed from different directions. The major access points are from Kitale in the west and from Eldoret in the South.To the north west of the Cheranganis is the Marich Pass where accommodation is available at the Field Studies Centre. Guides and hikes can be arranged here. 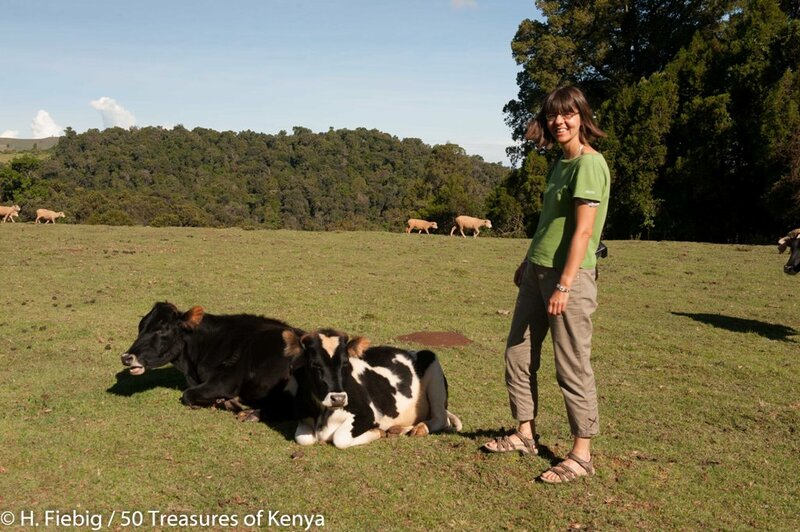 Also guides and treks in the Cheranganis can be arranged through Sirikwa Safaris or Karibuni Lodge in Kitale. The Kerio View Hotel is a conventional Hotel with marvelous views, telephone 020 2039559 or check www.kerioview.com for more information. You can also consider the Jumbo Hotel for more budget friendly accommodation. The Too Guest House in Iten also offers a more local experience for people who intend to stay for a minimum of 1 week.